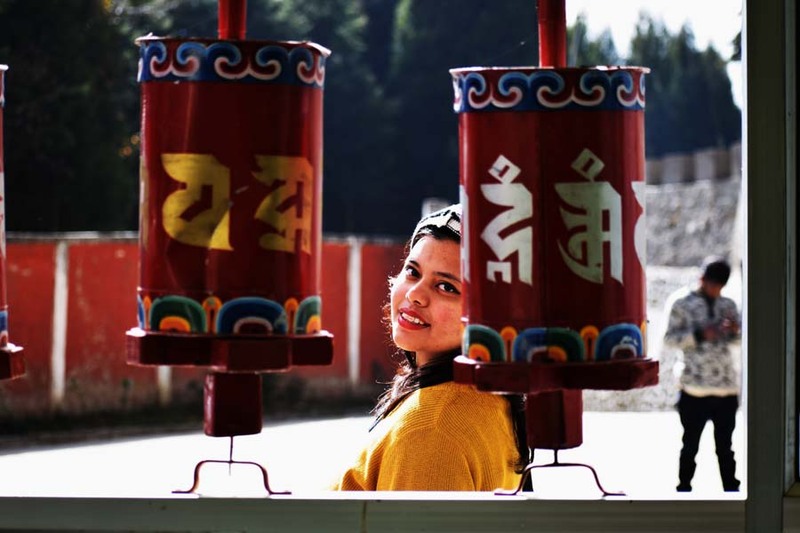 An Essential Tawang Travelogue, a Blog Written as I felt! By the time we reached Tawang, the ancient hill town had succumbed to a moonless night’s darkness! Only a few meters was lit ahead of the SUV en-route. The hairpin bends feels more dangerous in dark. I think the car ran over a huge rodent or something in front of the Nuranang falls, not sure! There was awkward silence among three of us, the driver Anirul, Sayantan and me. We just wanted to reach hotel Taktsang, soon, and get tucked in the bed, warm with a heater by it’s side. 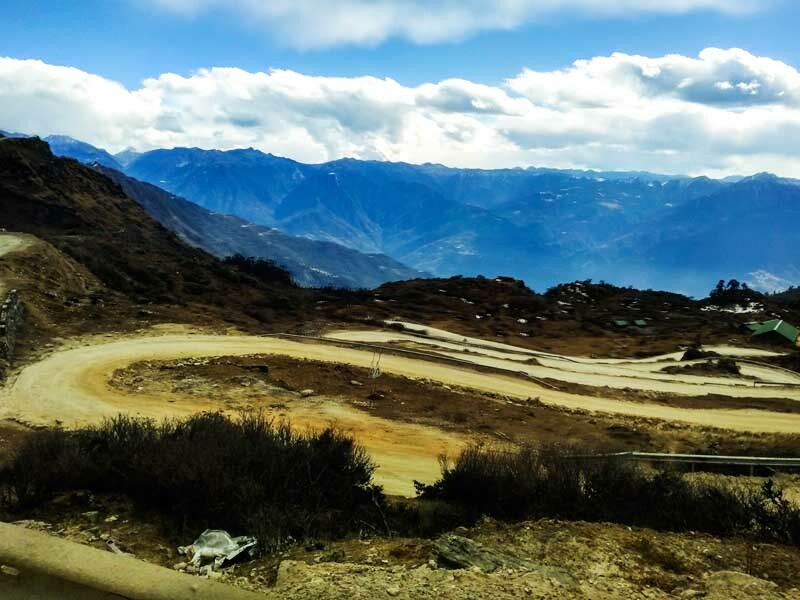 The road to Tawang is scenic beyond words and builds up on your part of expectation. You think you will reach a dreamy old town, lit up in gasoline lights and moist with snow fall. Roads are heaped with snow, people are clad in heavy woolen, making merry by the side of a busy market street with a glass of locally brewed Apong.. Hold on your thoughts there! Tawang is nothing like this. 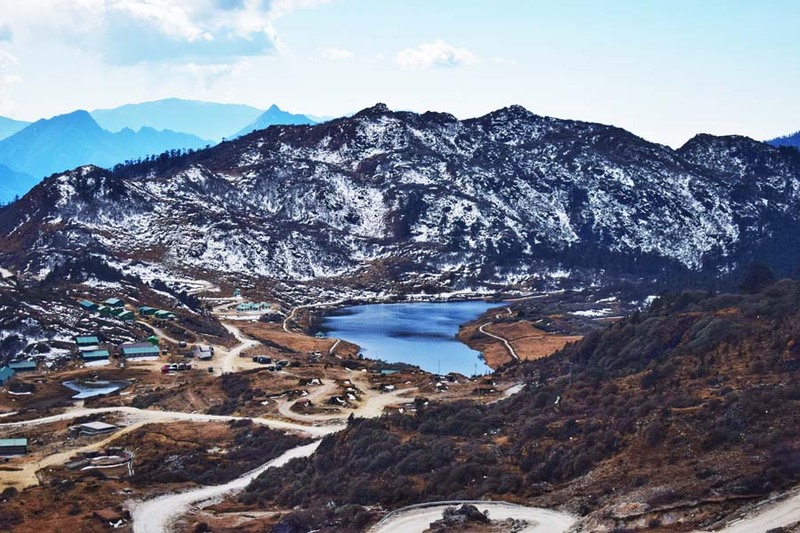 Instead, at the night, Tawang is a cobweb of the mountain roads, scarred with the previous season’s snow, potholed, opening to unknown army camps with failing google maps. A heavy darkness looms large barring your vision beyond the realm of car headlights and you will strive and fail to read the home-stay names. Unless the driver knows exact destination, be prepared to go merry go round quite a few times, like we did. Pin it for later read? Also watch: Our roadtrip series from Guwahati to Tawang! Many legends are treasured in Monpa tribe to trace back the history of the Tawang Monastery which remains one of the oldest and largest in the world at such an elevation! All of them point to a white horse grazing on a celestial land, now the place of Tawang Galdan Namgye Lhatse, the local name of Tawang Monastery! 3. Daal and Chawal (lentil soup and rice) is available in abundance if you do not want to binge on local delicacies. 4. Give yourself enough time to Acclimatize and I cannot stress enough on this. This point is incumbent for a healthy trip. 5. 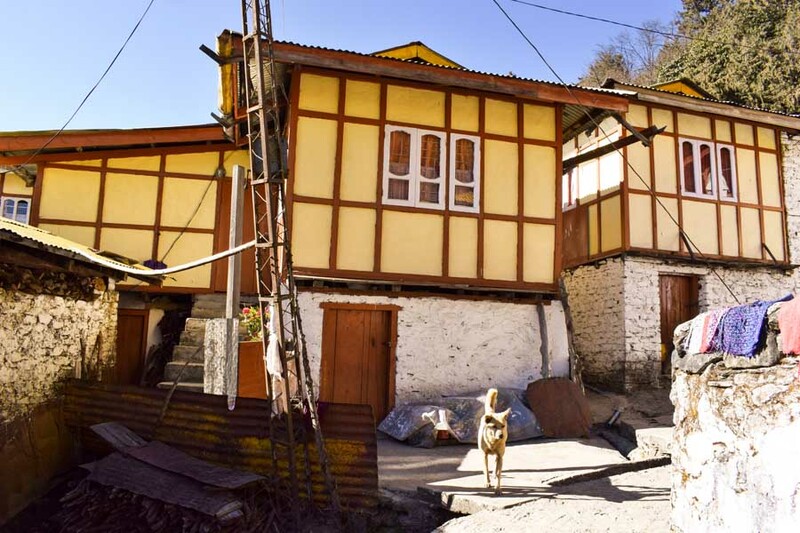 There are multiple home-stays in Tawang. If you are taking a road trip, you will likely find one upon asking the driver. that said, you can definitely book beforehand using Booking.com or whatever suits you. If securing a stay in home stays, ask about heater. 6. 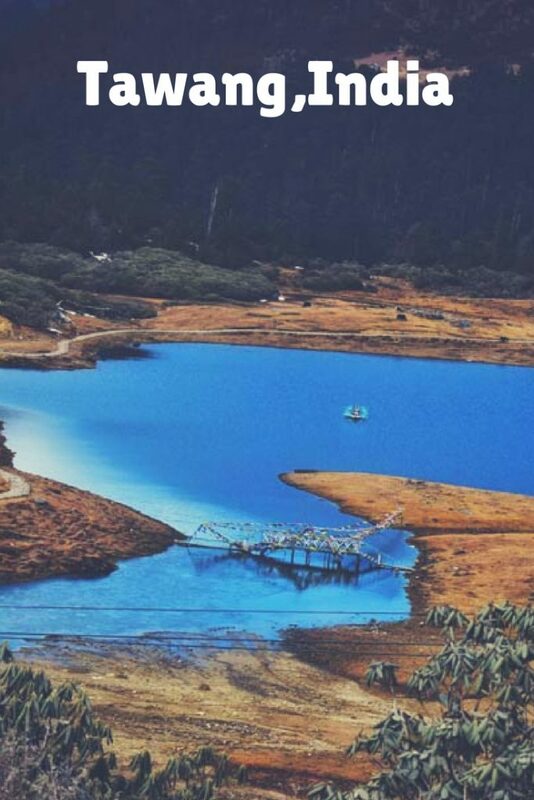 If you are running on low time, make sure to have at least a couple of days to explore Tawang and surrounding areas. The more the merrier! 7. Even though we did not hitch hike, we did see hitch hiking is a trusted method of long commute in the area. Especially used by the hospitality employees to ascend to Tawang from the plains of Assam. 8. We followed Bhalukpong/Tezpur-Dirang-Tawang-Bomdila-Guwahati route and highly recommend the same. However if you want, you can ply from Guwahati to Bomdila and to Tawang as an alternate. Saves you some money and time. That said, please note you will miss out on Dirang valley which is beautiful on it’s own right! 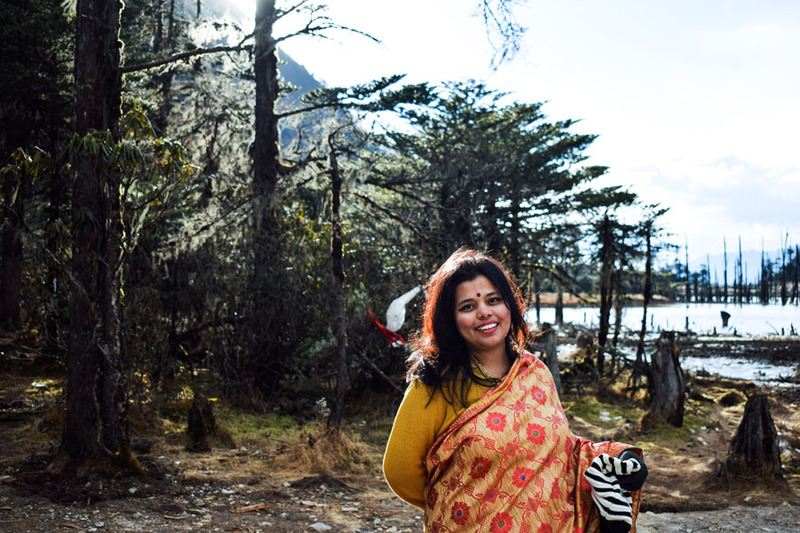 Enough of travel-preaching, let me get back to recalling my Tawang travelogue! Day one as it unfolded, finding the hotel! It took us good one hour to find the hotel Taktsang that stood behind the government emporium. There is a school in front of it and it is around 7 KM away from the main town. The interior is decked up with bamboo furniture with bright yellow lights and I think I felt asleep readily! For dinner, you can order the mainland Indian delicacies. We binge ate rice, daal and Alubhaja (what McD sells in the name of fries). I woke up to find Sun flaring up gently over the valley. slowly a peaceful Himalayn habitat unfolded it’s beauty. We headed for the multiple Gomphas in the city. 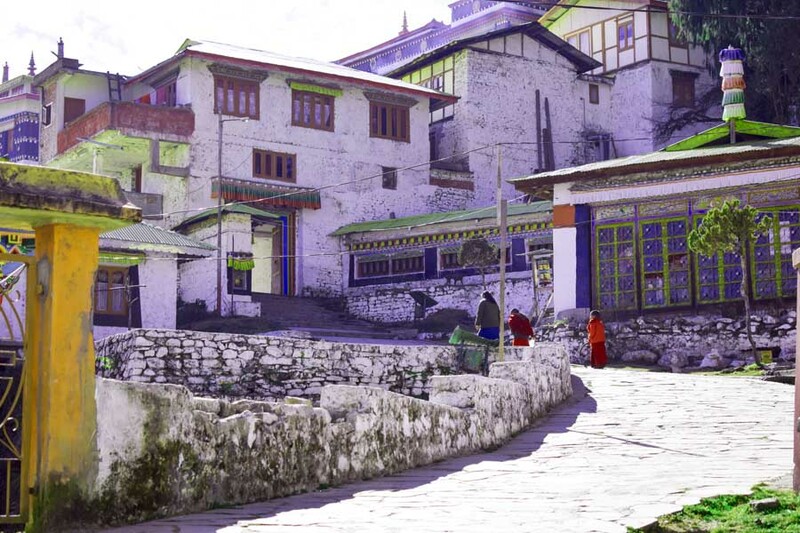 Once you reach the old town(which is the REAL Tawang town), you are likely to spot a colorful Gompha and a praying wheel at every corner of the hairpin bends. Mostly, they will be standing alone. A yak or two will munch on the few greens that found life in the arid land. Yaks here are adorned with a red Woolen ball at the back of their ears. I learn it is to indicate they are domesticated. Yak milk and meat is a staple in this area. The yak butter is also used to lit the bright lamps inside of a monastery. hard yak cheese, locally known as Churpi can be found in the Tawang Market. Now that you are habituated with your solitary world for quite some time, be prepared to face a crowd as you enter the Tawang Monastery. Mostly Bengali tourist families visit here. The saree clad lady with a bright red Bindi on the forehead and finding it hard to manage those “duronto” children…. Anyway, Tawang Monastery is a heritage and a strategic powerhouse of the Kameng politics. The Many Buddhist monk is their maroon robe and gentle smile conduct everyday life in and around the area. there are prayer halls, library, museum and more. If the tale of ancient history and becoming of modern politics intrigues you, take a day’s time to explore the museum. There are evidences of then Nehru family and now Modi’s visit to tawang Monastery that once had housed the exiled Dalai Lama from Tibet. When we visited, the children of the monastery were enjoying winter vacation, A few remained stationed. We spotted those little monks running to and fro. I tried approaching one with red apple cheeks. He ran in the speed of a light! 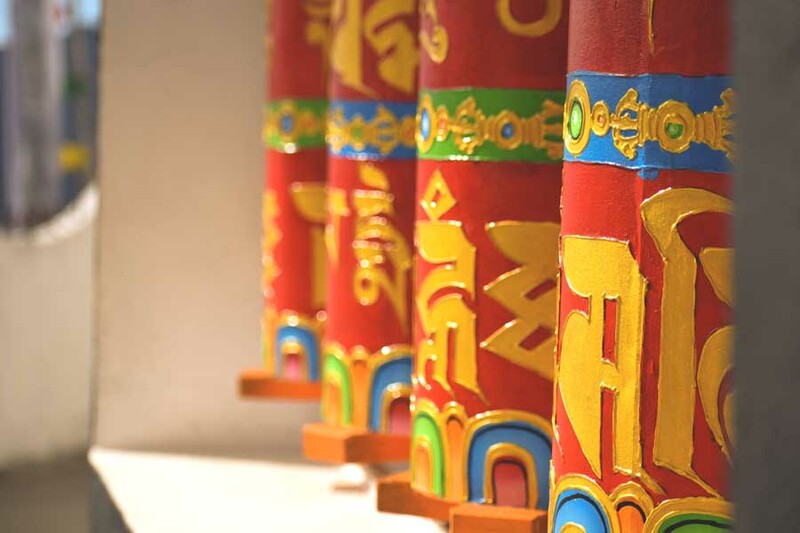 Tawang, a town of prayer wheels! It is supposed to bring in peace in the valley. 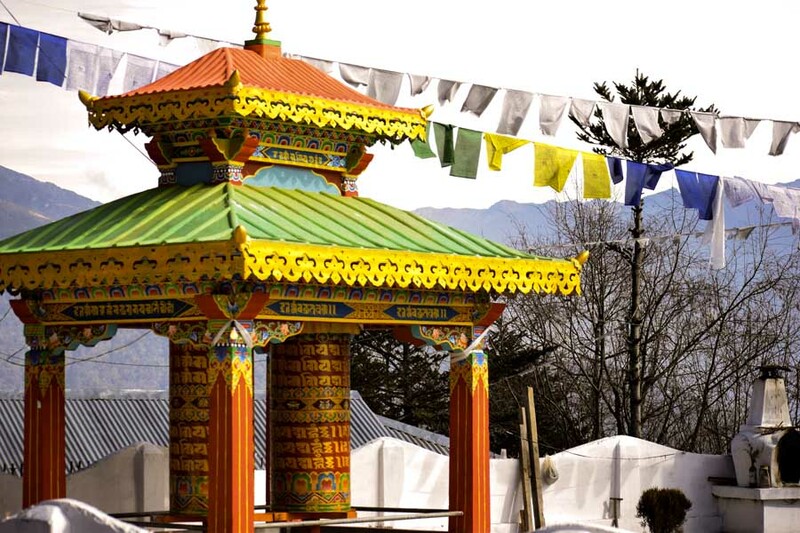 On the mountain across the Tawang Monastery, you will enter a monastery run and operated by womens. In good times, there was an operating rope way too, which is defunct now. It is a small habitat with many yellow hued wooden houses. I was a bit hesitant entering the place, as in I am disturbing a residential areas’ slumber. Not many tourist come here. The ladies, clad in yellow maroon robe, with bald head and bright eyes, were on a daily roll, cleaning the clothes, sweeping the stone staircase. A girl in her teens was reading from a script (a Charyapad?). She looked inquisitively to my camera. She told us about her hometown in Bhutan and how she misses the little brother. She wanted to come to Kolkata and asked for my contact number! “Will you get network here?” I ask astonished. I have no Airtel connectivity for last so many days! “We go to the city center every Wednesday and I shall get network and I will call you.” the pretty pretty girl said in broken English. Of course, I never called her back. May be, she has still been waiting for my SMS. Oh,in Monpa language, Ani means nuns. A poem by Sunil Ganguly lamenting the broken promises of our Childhood, Keu Kotha Rakhe ni! Tawang Market is a whirlpool of dingy cobweb of narrow lanes where different cultural waves have found peaceful cohabitation. At one place, you have the Tawang restaurant where a chef, trained from Bangalore, serves you Masala Momo (wtf, do not try this). Look beyond the glass window and your eyes will meet the Jay Ma Tara Hindu Hotel that boasts of serving rice and fish curry (Bengali style). It’s immediate neighbor is highhandedly taking care of the India peninsula by serving steamed Idli and paper Dhosa. A few soldiers in Khaki uniform stroll with automatic weapons on their back. I freeze and gape and start looking at the sky as soon as we exchange glimpses. It has been a few months ASFA has been lifted from Arunachal Pradesh! A Monpa delicacy. 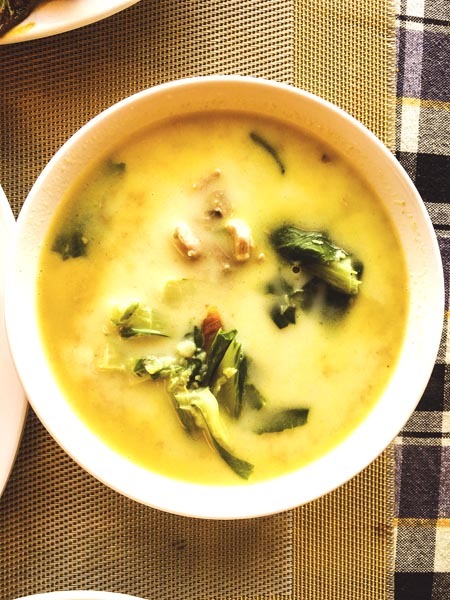 chicken cooked with Rui, a type of Spinach and Yak milk. Served alongside steamed rice. 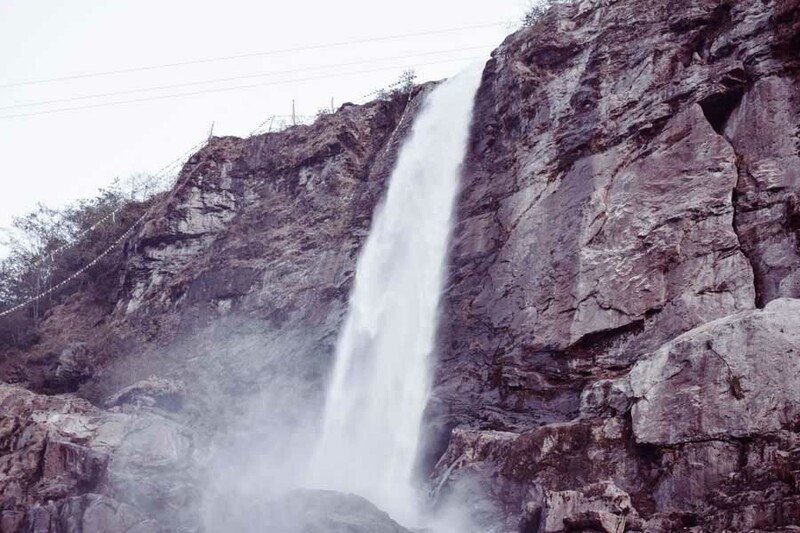 Also read: You cannot travel to Arunachal Pradesh unless you have read this To-Know list! Meanwhile the sky is staging a spectacular sunset with pink, orange , white and Prussian blue hues. I walk past the Tibetan settlement areas as soon as I can to get a clear glimpse. It is incredible. The peak of the mountain is baby pink! Multiple shops are selling the Monpa skirt, dream catcher, sling bags, human skulls(or lookalike). The lady selling those skirts looked indifferent when I ask the price. “2000 INR for one piece, no bargaining.” I understand how previous bargaining has left her bitter. These skirts take anywhere from a week to a month to be woven, without any technical intrusion. You cannot not visit the war memorial at a place that has experienced fierce battle in recent history and has got millions of soldiers in uniform sitting on both the sides of the makeshift International border. The war memorial is shaped after a Buddhist Gompha as locals frequent this place often and offer worship. The British went further up in North east India in search of Tea and Oil. They were stopped beyond Assam since the various tribes and mighty Himalayas were not easy to handle. Before the British empire breathed their last in India, they played slyly with the subcontinent’s border. Among the otherwise bleeding India-Pakistan borders , they took a pen and drew McMohan line over Arunachal Pradesh. Mc Mohan line accredited the larger part of the area to Tibet and few of the ancient habitat remained in India’s Arunachal. Meanwhile, we got the Chinese Dragon roaring with hunger and engulfing Tibet. Tawang and Tibet has shared culture and Tibetan heritage and China demanded for Tawang too, refusing to abide by the McMohan Line. Post Tibetan Chinese war, the Dalai Lama was housed in the Tawang Monastery in 1959. Fierce battle broke down along the border of two newly freed nations (both China and India were colonized prior to this) and tolled thousands of lives. Speed up and try to catch a seat by 5:00 PM at the army camp from where the best sunset view can be witnessed as well. There are multiple shows. If you miss the first one, you will see the second one. Do not worry. Also, be prepared for moist eyes and difficulty in gulping down the intangible lump down the throat as record plays Lata mangeshkar’s “aye mere watan ke logo…” (Listen to the song here). As much as the Sunshine had flooded us with generosity the day before, the last day in tawang had a drastic change in weather. We woke up to a cloudy, gloomy sky and found most of the people had lefft for bum la already. 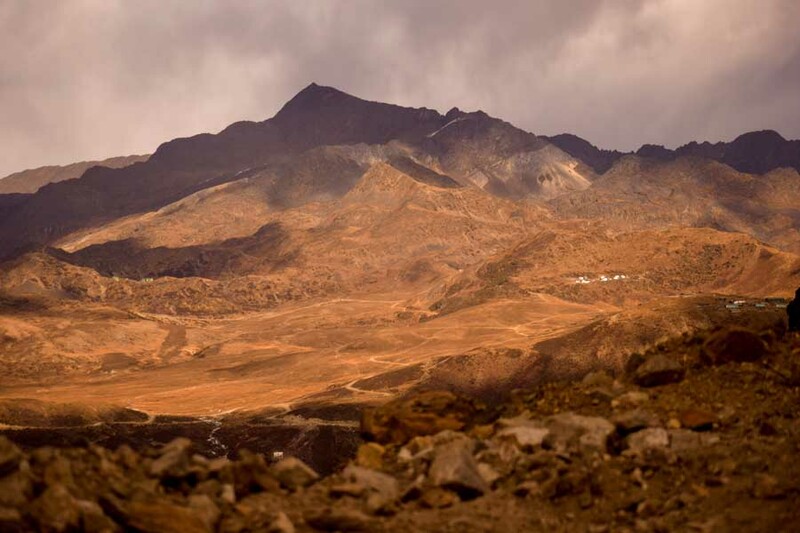 If you love trekking, head out to Gorichen peak, at a distance of 164 KM from Tawang that according to Monpa legends has been the guardian angel of the region from time immemorial. How about reaching the village that houses a stupa dedicated to the female Buddha dating back to seven centuries or more? Head out to Zemithang which will take a complete day to commute to and fro. Homestays are limited and google has not reached here yet. A massive white stupa, Gorsam Chorten, rises with widely laid three eyes of a Buddha. I did not visit there but my friend did and I loved looking at the pictures she posted in Facebook! Now coming back to my Tawang travelogue again, I loved our trip to Bum la which was fun, daunting and unlike anything we have done till date! La is pass in Monpa language. 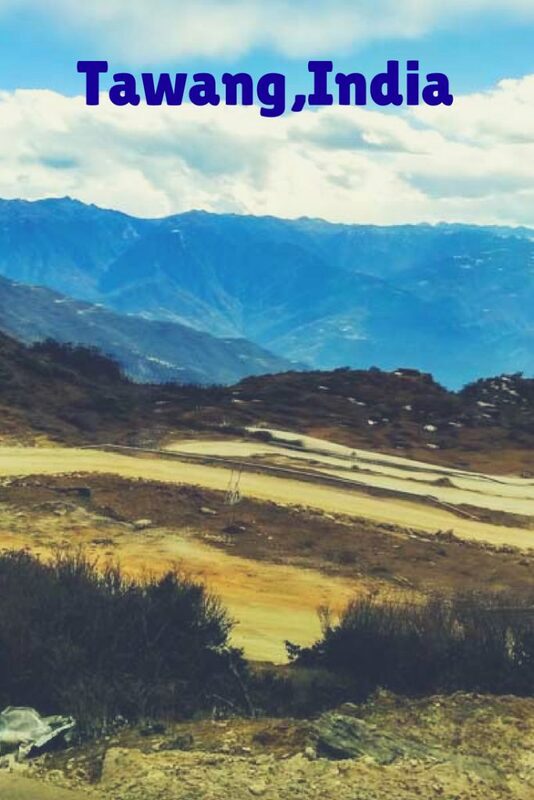 There were traces of ancient route through this way that braved the acute mountains and made people exchange life’s gifts from both sides of the border (Tibetan heritage). Now it is stopped and heavy with army tanks, green painted houses and permit areas. You need permit to enter Bum la and a local vehicle with Arunachali number plate. The charge of the car is 5000 rupees ($74). If you are lucky you can get a Xylo. Sticking to Sumo is a challenge to the backbone. We managed to get a Sumo and shared with two Assamese guys referred by the hotel. A long stretch of road winds away to the mountains. After a pleasant drive of about 10 Km, the wrecking journey starts. We stopped a few times to make space for a few army men who hitch hoke in tourist cars from one camp to other. The wind is chilly and air is thin. Plenty of glacial lakes and arid mountain landscape appear en-route. we spotted few groups of workers on the road, including women. Their bags with tiffin-box and a lamp kept by the side of the road. FYI: that is China on the other side. A check post is there, camouflaged in the arid terrain. Bum la Maitreyee sthall (friendship zone) is an army camp where Indian and Chinese army engage in pleasanter exchanges. They have picked up Namaste from Indian language as the Indian soldiers can say Ni Hao. New Year party and May Day celebration is a regular here, up in this horrific mountain and wilderness where both the groups invite each other. Hearing these stories, I feel excited and walk towards the stone. there is no fencing. the army man shouts “Golli mar dega!” My hair stands up and I return. Such is a world we live in! Pro tip: Try and reach there by 11 am. The place starts to snow and weather is volatile. Be prepared for land slides and other messes on the road and carry snacks and water to sustain till army help reaches you. 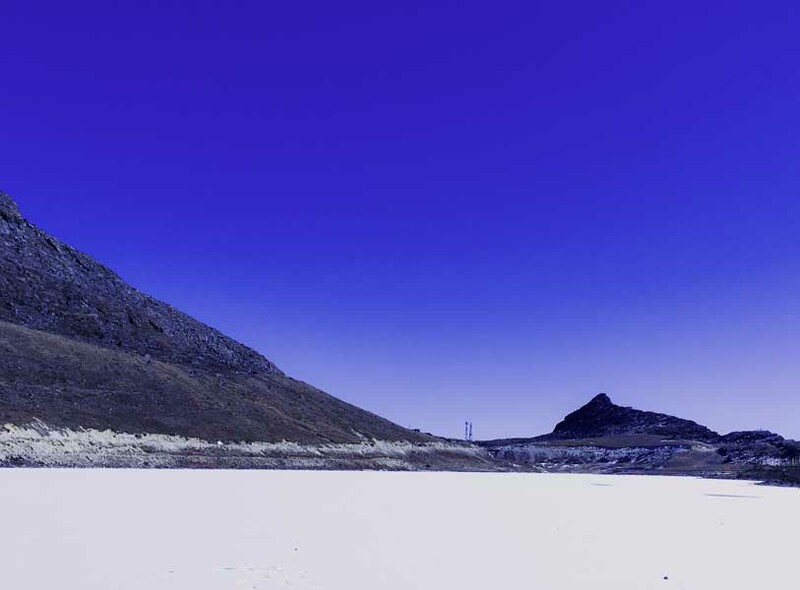 If Bum la was overwhelming, we had a whole man made and partially frozen lake waiting for us on the return journey. Sangetsar lake is a relatively new addition to this part of Himalaya. Massive earthquakes are regular occurring in the mountains of Himalaya. This time it opened a whole new hole in the land that housed water from rain, snow, fountains and streams and eventually tuned into a lake. 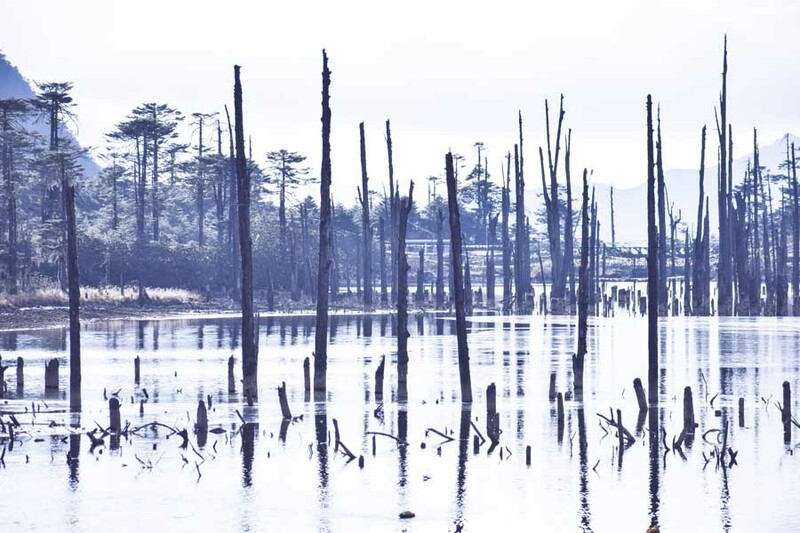 Skeletons of dead plants and tall trunks stand as a testimonial of transcending life. A few migratory birds (a type of duck) swim through and tries to find a fish or two. An army camp is set up by the side and it acts like a glasshouse. We buy a pair of gloves for INR 70 ($1, beat that?) and order for a cup of maggi. Chaye too, is available here. Madhuri danced by the banks of Sangetsar lake and romanced Shahrukh Khan in the Bollywood movie Koyla. The ethereal landscape was an instant hit with Indian viewers and many started to flock in. As a thumb rule of the mountains, days start early here and people try to leave for Tawang town by 12 pm. We were perpetually late with a broken car and delayed permit and as a hindsight of that, we found the lake empty. Poem by the sixth Dalai lama who was born in Tawang! When Madhurima wanted to be Madhuri! On our way back, it started to snow, night came in densely. I sat tight in the Sumo, tensed. Grand Sunset painted with magic realism on a huge canvas, a lot of mountain spring, white fallen drops on the green foliage, a vivid Himalayan celebration: nothing could stop me from gasping and feeling Bhoyonkor Sundor. The night was punishing as I fell prey to AMS. Continuous headache, a general feeling of insomnia and nausea set in. I started playing Pink Noise on a mobile app and tried to sleep. Being in the open with snow fall for the entire day had started to take it’s toll. It was our last night in Tawang and we will start for Bomdila the next day. 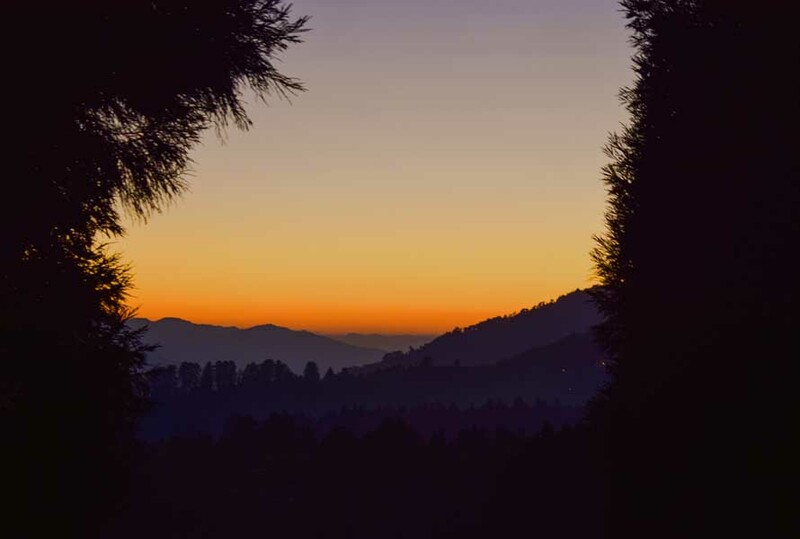 The descent starts with heart full of memory, slowly growing on subconscious and appearing on my dreams, even when I write this blog on Tawang from the Indian peninsula! *** All the poems used under the pictures are written by Sixth Dalai Lama. His poems are used as folk songs and famous not only in Tibet but beyond that, in China too! Loved the read? Pin it for later! 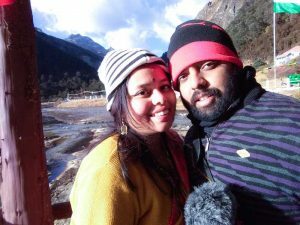 Madhurima and Sayantan explored parts of North east India in a month long expedition during January 2018. Both of them have contributed in making of this blog post. You can stay in touch with us in Facebook, Instagram, Twitter! 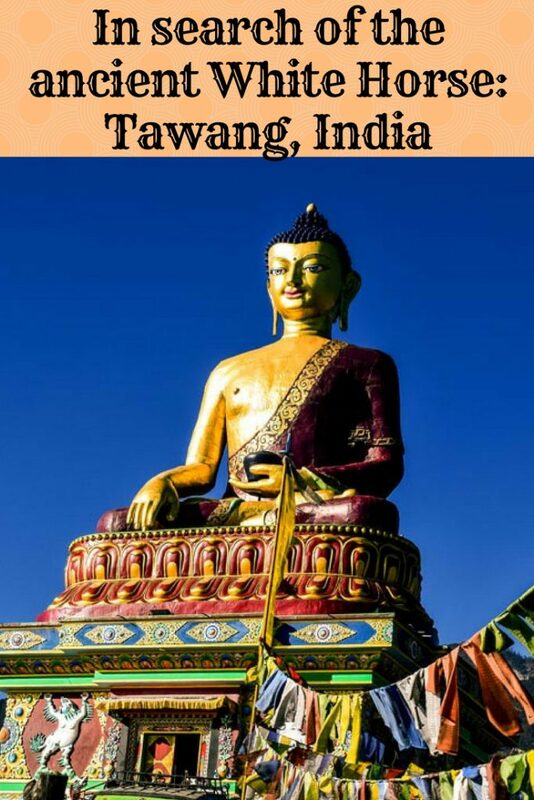 Want to book a stay in Tawang? What an adventure! I really enjoyed reading this. 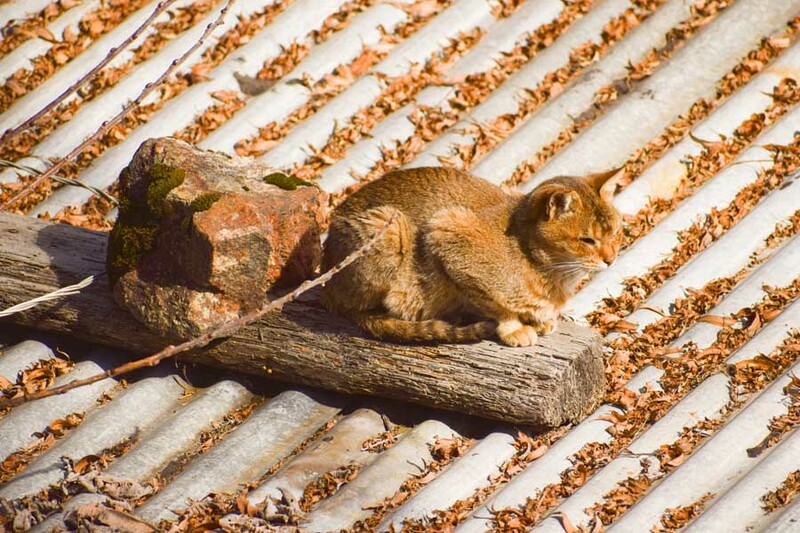 It took me back to the time I visited Dharamsala in the Himalayas. Intersting post. I especially like the idea of traveling the old road that leads to Tibet. Informative and well explained article. thanks for sharing your valuable experiences.